Mission leaders have a vital role in the European church today. Europe and the European church are changing. The missiological issues and challenges are enormous. Using the best resources available on mission statistics, area investigation, and policy work on mission. The Network will provide global voices and incorporate a learning community approach. The time together in the Network will be not only content-driven but allow for more relational and processing time. Applicants should be leaders of mission organisations or missiologists in Europe or from Europe who wish to understand and address contemporary issues, common challenges, and the changing face of missions. Prior preparation will be set for all applicants. Rolf Kjøde is the Director of Continuing Education and External Courses at NLA University College in Norway. Up until recently, he has for many years served as General Secretary of Normisjon, one of Norway’s leading mission organisations. 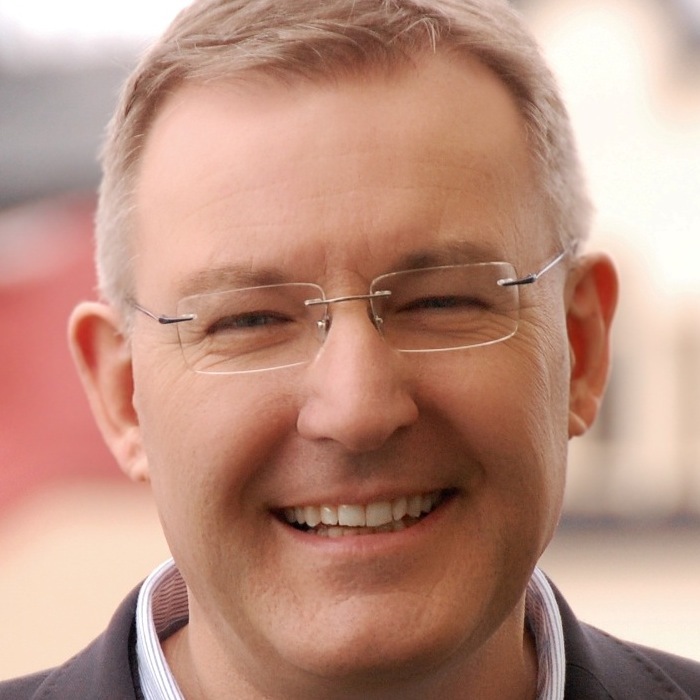 Rolf has also been director and for a number of years chairman of NORME (Norwegian council of Mission and Evangelisation), which is the merged Norwegian branch of The Lausanne Movement and the national Evangelical Alliance, and has thus also been an active participant at several international Lausanne gatherings. He has been principal and teacher at two Bible schools and was for some years responsible for international relations in the Norwegian branch of IFES. Rolf holds a Master of Theology, has written a number of articles in Scandinavian theological and missiological journals, and has written a textbook for Bible schools in evangelism. Anne Lise Søvde Valle is the National Director of NORME (Norwegian council of Mission and Evangelization), which is the merged Norwegian branch of The Lausanne Movement, the Evangelical Alliance in Norway and the Norwegian Mission Council. She has been teaching in the Norwegian Outreach Center GUS (School of Mission) and the Centro Superior de Teologia de Asambleas de Dios (CESTAD) in Spain. She has also worked in the missions department in the Pentecostal Church of Norway and earned a master’s degree in theology at the Norwegian Lutheran Faculty (MF) in 2008. Evi Rodemann has been involved in creating and organising events for young people and churches locally, nationally, and on the European level since she was a teenager. Mission events have always played a vital part in her own walk with God, but she has also seen how they bring Christians together and mobilise them for a missional lifestyle. As well as receiving training in event management, Evi also earned an MA in European mission with a focus on the impact of conferences. She studied missions in the Netherlands and has worked in India, Africa, and Hong Kong, but her strongest passion remains Europe and helping its young people to find their kingdom role and live missionally wherever God has called them. Until 2016 she directed Mission-Net for nine years and organised four European youth mission congresses. In addition to being engaged in various European networks such as Lausanne and the European Youth Ministry Network, Evi also works part-time in a German aluminium company. Hjalmar Boe is the general secretary of Digni, an umbrella organisation with 20 evangelical churches and mission agencies in Norway involved in international development work. Digni’s member agencies have around 110 development projects in around 35 countries in Asia, Africa, and South America. Previously, Hjalmar and his family served in China until 2004. He then served as the Asia director for Norwegian Lutheran Mission (NLM) from 2004-2010 and as international director for NLM from 2010-2018. Hjalmar has been involved in global mission and partnerships in the Global South for many years. He has studied missiology and theology and holds a Master of Intercultural Studies degree from Biola University. He is also working on a master’s degree in value-based leadership. Hjalmar is married to Mona, and they have four children. Sarah Breuel serves as the director of the Revive Europe and the evangelism training coordinator for IFES Europe. Included in the Christianity Today’s “33 under 33” list of leaders to watch, Sarah served as Chair of the Lausanne Younger Leaders Gathering 2016. Originally from Brazil and currently living in Rome, Sarah has worked for IFES in four national movements in the last 13 years (Brazil, Canada, Norway, and Italy) and now works in the European region. She has a business degree and an MDiv from Regent College. She has recently joined the Lausanne Board of Directors as its youngest member. Sarah is married to René. They have planted a vibrant church in Rome and have two boys: Pietro and Matteo. Mark Galpin is a tutor at All Nations Christian College in the UK, where he teaches poverty and justice studies and leadership. A former Executive Director of United Mission to Nepal (UMN) based in Kathmandu, Mark has a background in community development and a PhD in Agricultural systems. He has worked in a range of roles in community development and peace-making in both Nepal and East Africa, where he grew up. Mark is married to Liz who is a GP, and they have two children, Joshua and Miriam. Rene Ramos Nepomuceno has been a pastor and teacher since 1989 and is now the International Director of Word International Ministry (WIN), a mission-led organisation with a heart to plant and grow community churches worldwide. As of 2018, WIN has 185 churches and mission outreaches in the Philippines, Asia Oceania, Europe, the Middle East, Canada, and the USA. Rene served as a missionary pastor in the UAE from 1992 – 2000 and was instrumental in planting community churches among Filipino migrants in other countries in the Middle East and Europe during that time. In 2003, he moved to the United Kingdom to plant a church in London, whereby 3 other churches were birthed. Aside from serving as the international director, he leads the training and development of community leaders and ministers across WIN. Rene, an electrical engineer in his previous profession, has a Master’s in Christian Leadership from Asian Theological Seminary (Philippines), an MDiv from Pentecostal Theological Seminary (Cleveland, Tennessee, USA), and has earned units in a DMin programme at Fuller Theological Seminary. He currently divides his time between the UK and the Philippines together with his wife, Rosanna, and their three children, Hannah, Sarah, and David. Martin Robinson is principal and chief executive of ForMission College. Martin was born in India of missionary parents and then brought up in Scotland where his father was a church planter. When Martin was in his early twenties he trained for the ministry, and his first church was in the inner city of Birmingham. This multi-ethnic congregation was engaged in church planting, and Martin, together with his wife, Lynda led one of the new church plants. After thirteen years in local ministry, Martin went to work for the Bible Society in the UK in a variety of roles. In that period he was the director of mission and theology. Martin has written many books on the broad theme of mission, including Faith of the Unbeliever and Invading Secular Space. In 2002 Martin became the national director of Together in Mission. In 2008 he became the principal of Springdale College. These two organisations are now known as ForMission. The goal of ForMission is to prepare workers for the harvest. HatunTash lived in a Muslim country for 27 years but now lives in the UK. She studied various topics at university and has degrees in bank management and economy, law (basic human rights), maths and physics engineering, and philosophy. She also studied apologetics at the Oxford Centre for Apologetics in Oxford, England. Hatun is the director of DCCI Ministries. She lives an evangelist lifestyle and has a big burden to share the gospel and to see the church equipped. Beside engaging with Muslims at Speakers’ Corner and in mosques every week, she is involved in Christian-Muslim discussion, debates, and Bible studies, while also teaching and training Christians to be better witnesses for Christ. During the last century many countries in the West underwent a drastic change. Secularism, with "indifference to, or rejection or exclusion of, religion and religious considerations” (Merriam-Webster) replaced the Christian faith. In today's global world this secular perspective is not only a challenge for the West, but for the global church. How can we understand the impact of secularism and how should we respond to its challenge? Some recent surveys among evangelical students in Europe have indicated that in our highly secularised cultures, many students lack confidence to share their faith. They do not know what to say or fear they may appear dogmatic. How should we respond? In this session we will look at the role of modelling, mentoring, working in teams, set piece equipping and training (both theoretical and on-the-job), and the teaching of great Christian doctrines as a means of increasing confidence in the truth, wonder, and power of the Gospel. We will use recent examples from all around Europe. What Can the Global South and Europe Learn from Each Other? The Global South and Western Europe – what are our shared and different challenges and what we can learn from one another? Sarah has been serving in Europe for a decade in national, regional, and global capacities. Being raised in Latin American and having served the church and the student movement in that continent too, she will share personal reflections of what the Global church can learn from the uniqueness of its regions. It was the case that Europe and the West more widely represented the secure mission base and the rest of the world represented the mission field. Today, mission is from everywhere to everywhere. It is still a relatively new experience for Europeans to receive missionaries, especially from the former mission fields. Working out how this modern Macedonian call might work in practice is both challenging and complex. The potential for creative partnerships is huge but so too is the possibility of misunderstanding, confusion and even conflict and division. This session will explore some key principles in creating healthy working relationships with our fellow believers from other cultures. What role does tackling injustice have in mission? Is it an optional extra or something that is central to the mission of the church? In this session we will examine the centrality of justice to the biblical narrative and God’s call to His church to pursue justice as we work towards the fulfilment of the Great Commission. We will also discuss the implications of this call to justice for our ministries in the varied contexts that we live and work. How have evangelical churches and mission agencies historically responded to social injustice? The problem is not new, and we will look at different responses to the challenge in the past. How are evangelical churches and mission agencies currently responding to the situation of social injustice? What role will churches play as part of the civil society in finishing injustice? This session will discuss these questions and explore together how to respond. Islam in Europe: How Do We Engage in Mission? We all know how important it is to reach those who do not believe in Christ as their LORD and Saviour. In this session we will be looking at how we actually do it, specifically how Bible-believing Christians can engage with Muslim people. What is our goal and how do we get there? The session will include practical examples and tips on: How do we start Gospel conversations with Muslims? How do we finish these conversations? How do we set up Bible studies? Interview: What Can We Learn from Christians in Muslim-Dominated Countries? As we focus on the great missional task towards the Muslim population in Europe, we want to hear voices from countries where Islam is dominant and learn humbly from their experience. Questions raised in this session could be: How do they seek to live in peace and mutual understanding? What is the general attitude toward the Bible and the church? How do they talk together with Muslims about faith-related questions? How do they react in situations of oppression? What, in their experience, is the best way at serve their Muslim neighbours? How can Europe learn from the way our Christian brothers and sisters have lived and served in Muslim-majority countries?